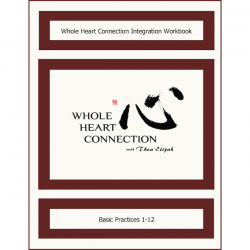 Previous Whole Heart Connection Intro students are invited to a one-day workshop to anchor the practices more fully in our bodies, and in our lives. It is also very likely that we’ll have time to learn new practices that are especially relevant to the times we’re living in, and that we’ll have an opportunity to respond to students’ specific requests. Tuition for this workshop is $150. This course qualifies for 7 NCCAOM Core CEUs.